THIS IS THE WAY FORTH. The word “education” means “to lead forth.” But which way is forth? How do you know you’re going in the right direction? At Hillsdale College, we understand education to be the pursuit of the highest answer to that question, discovering the right way by reading the greatest books by the greatest minds in history, and coming to see the meaning of the Good, the True, and the Beautiful. At Hillsdale, we study what really matters. 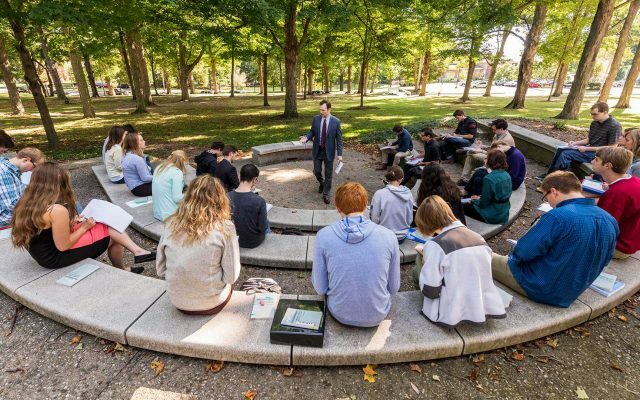 Every undergraduate at Hillsdale takes the required, classical liberal arts Core Curriculum. In its breadth and rigor, it’s a far cry from the typical “101” or Gen-Ed requirements that freshmen take elsewhere. The Core is a life-changing invitation to understand the good, the true, and the beautiful—to become part of humanity’s search to understand our place in the cosmos. They see the world through the eyes of great thinkers and scholars throughout history. At the same time, the Core creates a genuine intellectual community for our students. They form lifelong bonds by discussing and applying extraordinary ideas to life. 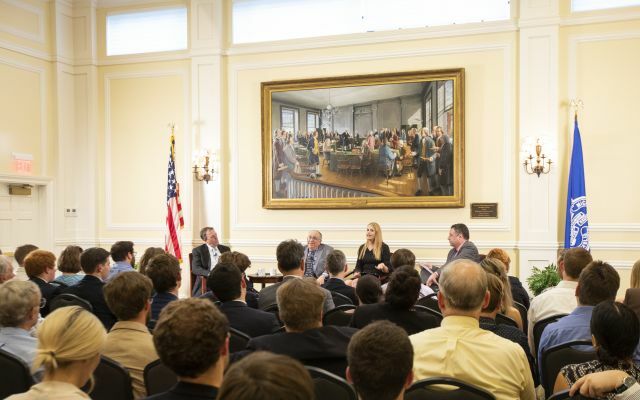 In fact, the conversations and community they experience at Hillsdale become the standard for the rest of their lives. We teach everyone who wants to learn from us. 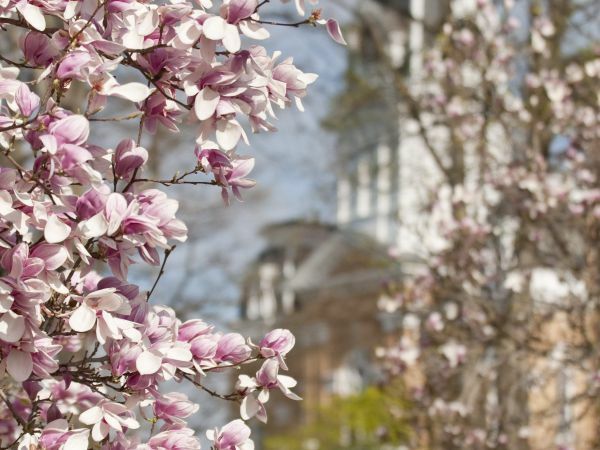 Hillsdale learners aren’t just the 1,450 undergraduates on our beautiful campus in Michigan. We reach over 3.7 million readers per year with Imprimis, our free monthly digest, which features the best speeches given at Hillsdale events on political, cultural, and economic issues. More than one million people around the world have taken one of our free, online classes. 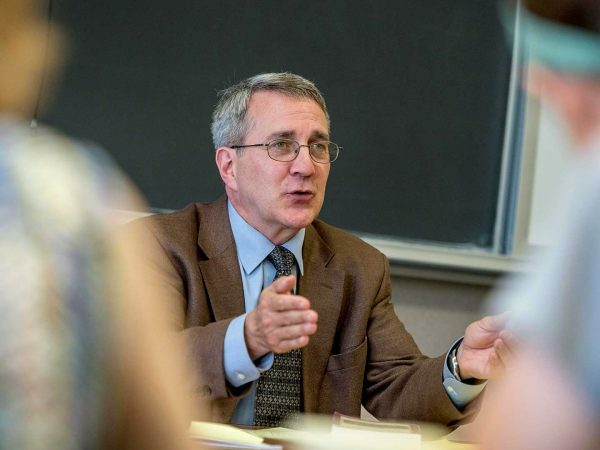 We offer them every year on topics such as the Constitution, free-market economics, history, philosophy, literature, and politics—each taught by the Hillsdale faculty. What College Is Meant to Be. At Hillsdale, we believe a college experience should have meaning, depth, structure, on purpose. Our classical liberal arts education makes a lot of demands on our students. But that’s because the ideas we study have such lasting consequences. This is learning for the long run—learning that becomes a way of life. A more perfect union requires a more serious discourse. In this age of sound bites and shout-fests, how can we elevate the civic conversation in America? A goodhearted community built on trust. We expect our students to know what is noblest and best in themselves and in the world. In fact, we make it explicit in our Freshman Pledge and Honor Code. Taken together, these affirmations of self-government set forth the moral and intellectual virtues necessary for a just and honorable life. They’re one of the reasons why the Hillsdale intellectual community, and the friendships engendered by it, endures long after graduation. Our professors choose Hillsdale because there’s nowhere else like it. In an age where information is carved up into smaller and shallower bits, Hillsdale faculty are proud to be outliers. They have the intellectual passion and steady patience that meaningful conversation demands. 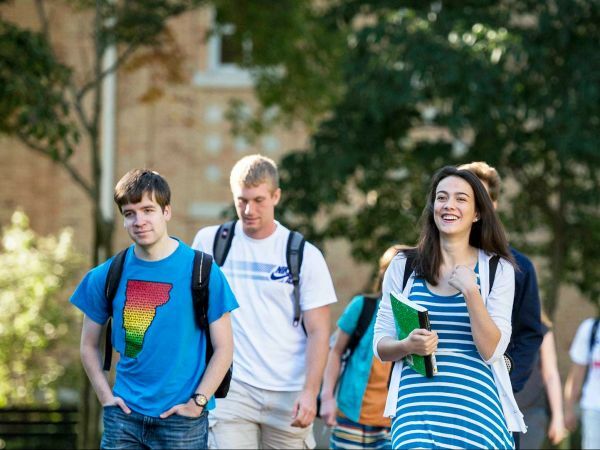 At Hillsdale, they have the time and freedom to make every class a genuine exploration. 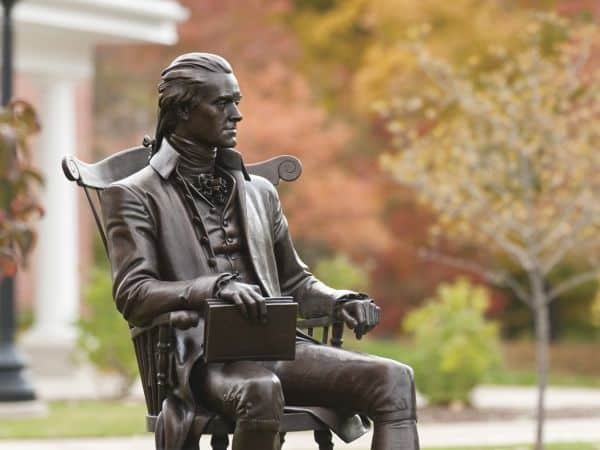 “Thomas Jefferson is famous for writing that there are such things as ‘laws of nature and of nature’s God’—truths that are accessible to reason, and better known if the reasoner is trained to see them. “But while college after college has been founded with such words as virtue, honor, piety, freedom, right, and goodness in their mottos and their missions, they have become places of relativism and utilitarianism. 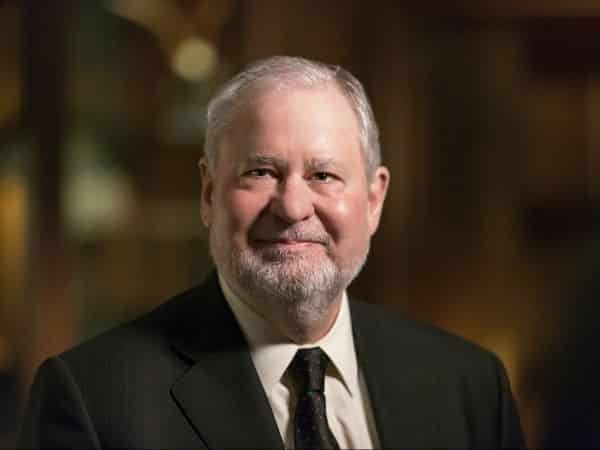 –LARRY P. ARNN is the 12th president of Hillsdale College. The Hillsdale family extends far beyond our current students and alumni and their families. Its members include like-minded, generous donors across the country who share our principles of self-government and support our institutional integrity and independence.